Want to Remain Relevant? Want to be an Effective Leader? Do These Things! Career development expert, Soulaima Gourani, says emotional intelligence (EQ) is the most powerful predictor of professional success, ranking higher as a successful business tool than mental intelligence and personality. In her book, Take Control Over Your Career, Gourani explains emotional intelligence as “understanding yourself and others. To be able to read and understand, control thoughts, emotions and actions.” Pretty sure she’s talking about controlling our own thoughts and not getting your Svengali on. 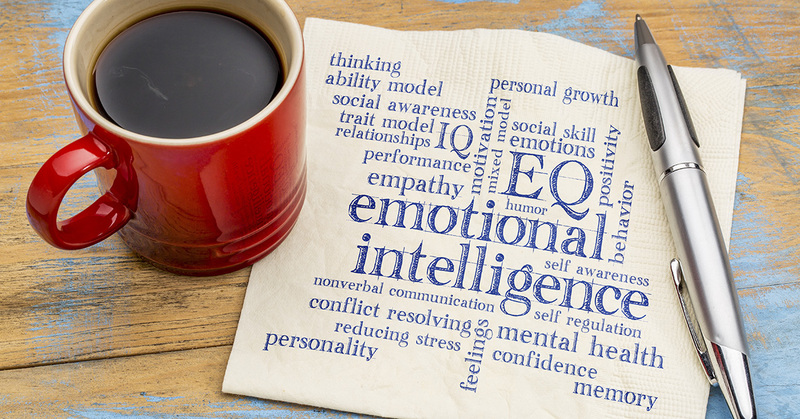 A trending topic among business writers today touts the benefits of fostering Emotional intelligence (EQ) in the workplace. Whether you work in a traditional office or as an entrepreneur, turning your vision into a successful business, researchers are finding that people with strong emotional intelligence skills do well in their personal lives, as well as in their professional lives. Practicing emotional intelligence enhances your team skills, allows you to seamlessly adjust to change, thinking rationally on your feet and working wonders in problem-solving areas. Businesses with emotionally intelligent leaders can keep their employees engaged, which in turn leads to loyal employees producing better results, towards more profitable outcomes. Especially, in today’s ever-changing job market, performance and productivity go hand in hand with emotional intelligence, in a landscape that requires learning and adjusting to new technologies on the fly. Leaders who model emotional intelligence may wish to get their staffs on the EQ train, as well, ASAP. How you control your own thoughts and opinions will help you focus on how to lay the groundwork for the best possible outcomes each business day. In the US, we tend to take our freedom of speech rights for granted and are prone to telling it like it is, often to our own detriment. In the heat of battle, when frustrations and tempers run high, leaders can keep it all cool and constructive, by setting a calm and problem-solving tone. Self-restraint involves diffusing uncomfortable situations instead of lashing out, throwing tantrums, finger pointing or other ineffective and alienating reactions that add stress in uncomfortable moments. In order to act responsibly, controlling our responses and tolerating uncomfortable feelings, we need to take a minute or two to slow down and detach from the situation at hand. Take a step back, absorb the big picture and find a response that will restore a productive and progressive workspace. This means taking stock of your physical responses, as well as controlling your emotional responses. Take a walk, take a few deep breaths, take a yoga class or just have a relaxing cup of coffee or tea. Take a break to consider the most effective way to respond, preferably one that offers a solution. It’s like not having a mirror to see what your face is up to in terms of hair gone wild or food in your teeth, etc. We can’t truly see ourselves from a totally objective perspective. “You have blind spots” Gourani explained, “and it is like ‘you’ve got broccoli in your teeth …’ You need people to tell you that, because you can’t see it.” We can learn to understand our strengths and weaknesses, internally, as well as discover how we affect others and how they perceive us, externally. When you develop a healthy and positive sense of who you are, says Entrepreneur.com, “Constructive criticism may sting but it isn’t a huge blow to your sense of self.” Self-awareness helps you to make smarter decisions and use constructive criticism as learnable moments. Also, it’s a good idea to surround yourself with what Gourani termed, “your loving critics,” people whose opinions you trust, so when you get feedback or criticism from someone you don’t know or trust, you can run it by your loving critics. Own your perception of yourself and the way other people perceive you towards constructive outcomes. Seeing things from another’s perspective or putting yourself in their shoes can inform you about how to work with people whose opinions may conflict with yours. The capacity for compassion and understanding the human condition can empower you to connect better with others and inspire better working relationships that build morale. Often, leaders in the role of giving orders and towing the bottom line don’t take the time to listen to their employees. Opening up to your team’s ideas and opinions instills loyalty, cohesiveness and a sense of being heard and understood. Just one person who can guide you through a setback can keep your resilient nature intact. A sense of identity and purpose can be cultivated through parenting, your work, social advocacy or anything that gives you purpose. Just find something meaningful and keep at it. At Venture X Naples, our welcoming, collaborative vibe attracts business owners across a wide spectrum of the community. From startups to established brands, like-minded professionals take advantage of flexible workspaces and a workplace where leaders are inspired to develop their EQ skills and so much more! Contact Venture X Naples today at (239) 300-9601 or schedule a tour to check out our coworking facility in the heart of Naples and just five minutes from the beach. As an upper level manager of a growing business, one of the most important things you can do, in order to lead or grow your business properly, is to get feedback from everyone. You want to know how to best serve your workers, keeping them happy and productive and also how to keep your clients coming back to do business with you. When you’re the head of a growing company, you’re under a lot of pressure to bring that company to scale, without too many hiccups. What a great many company leaders realize is the resources, or intellectual capital, for expanding your business is the people you employ. Asking for feedback from everyone can be a slippery slope at times, but in order to meet your business goals, according to LinkedIn co-founder and Greylock founder, Reid Hoffman, in his Masters of Scale podcast, “you have to be as skilled at abandoning plans as you are at making them.” Your employees and coworkers can help keep the big picture in focus, even if sometimes you can’t see the relevance of some feedback at the moment. Instead of blowing off feedback when someone disagrees with part of your vision, try getting onboard with initiatives that allow employees to voice their opinions. In one episode of Entrepreneur’s Masters of Scale series, Facebook COO, Sheryl Sandburg, commented that it’s her failure if her teams are unwilling or afraid to criticize her policies or performance. Learning how to graciously take feedback and effectively process it so that your people know they can trust you to appreciate, or at least consider their input. Here are some tips for taking a look at how to turn feedback into your most valuable tool in bringing a company to scale. Openly ask for feedback and remind your team that you want feedback. Allot time for your staff to come to you. Make sure everyone understands when they can approach you with feedback about specific projects or policies in addition to general feedback. All feedback won’t be something you can implement and might not apply to the project or policy at hand and some feedback you’ll simply disagree with. If you do disagree, genuinely express your thanks for the feedback and then explain your position on the issue at hand. This prevents dissenting attitudes and frustration when you proceed with the project or policy in question without incorporating the feedback. This gives you a training moment and your staff member may glean something positive out of the feedback loop by understanding how you arrived at your decision. Graciously receiving all feedback is an art. It’s not always convenient to stop what you’re doing and listen to feedback that you may not find relevant, or helpful, in the heat of battle. Some executives set aside a block of time during the workday and share that window with their staff to avoid impromptu feedback interrupting the work flow. Even feedback that arrives at inopportune times, take a breath, invite the employee to share feedback at a more appropriate time and thank them for going out of their way to share their thoughts with you. Easier said than done…. As employees may feel vulnerable giving feedback to a boss, the more gracious you are, the more willing they will be to share feedback in the future. An accepting environment may also inspire employees in creative and productive ways. Ok, so everybody makes mistakes, plans change and maybe you find yourself wishing you’d taken a colleague’s advice or feedback. Oops. The best thing you can do in this situation is own up to your oversight or mistake. Telling your employee that they were right, and you were wrong, speaks volumes. Humbling yourself proves that you can be trusted with sensitive information. Give credit where credit is due, acknowledge your team member’s idea was better than the one you proposed. Others will be encouraged to provide honest feedback in a trusting environment. CEOs and bosses who hire “yes” people are generally more interested in stroking their egos than in effectively bringing their companies to scale. Many successful people admit that they hire more talented and more skilled people than themselves when starting a company. Even with equal or less skill and talent than you have, other people on your team can usually afford to spend more time focusing on and analyzing projects to find better and more innovative solutions to than you can. Trust is a powerful thing. In order for your business to grow to scale, owners and managers need to be able to take feedback and trust their team’s abilities to deliver, so they can delegate tasks. Hiring the right team that you trust to give you insightful input, and provide you with valuable feedback, creates a healthy environment for creativity and collaboration. Because businesses can’t grow in a vacuum, upper-level managers that reject the idea of opening up to feedback can only grow so much. Admitting you’re not perfect and that sometimes you fail opens the door to “failing, the path to success”. Failure is a great teacher and often, the more you fail, the faster you succeed. Trying new approaches and giving your team opportunities to resolve issues is a great learning experience for your team. 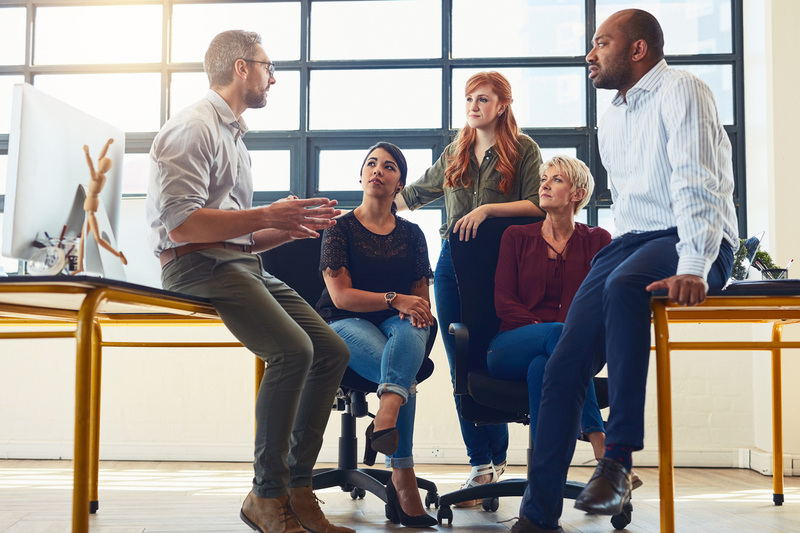 As a strong, effective leader, you know the value of trusting your employees to give feedback that resolves issues, solve problems and propels your business forward. The more open you are to accepting feedback, the faster you can bring your company to scale, seamlessly. Venture X Naples, offers an upscale, professional environment for all phases of your business’s growth. With flexible workspaces, including shared desks, dedicated spaces, and private offices, where you can gather your team for brainstorming sessions or work sessions. Located in the hip and happening Mercato, the heart of Naples, Venture X Naples is close to many dining, shopping, and entertainment venues. Contact us for more information at (239) 300-9601 or schedule a tour online. At Venture X Naples you can grow your company to scale in an inspiring, collaborative environment that’s only a few minutes from the beach. We welcome all feedback at Venture X Naples. When you are starting up a business as a single entrepreneur, you can work from home easily enough and for a while that works but after a time, you could stand a little change of scenery and perhaps, a little camaraderie in your work environment. The growing trend in nontraditional spaces and coworking facilities offers professional upscale work areas where inspiration, consultation and collaboration intrinsically collide in a community of business professionals and entrepreneurs. With a variety of private office and shared desk spaces for rent, options abound for a wide spectrum of innovative office configurations. While coworking spaces have been around for more than 10 years, more startups are using them today, along with freelance writers, designers and independent companies. Coworking spaces are popular with tech startups as tech companies don’t need everyone to report to a physical office every day, but do need to meet up from time to time. For for tech startups and other kinds of businesses, many coworking spaces, like ours, are equipped with meeting and board rooms with multi-media presentation capabilities. Most coworking spaces are designed with open-plan layouts where like-minded business professionals can inspire and motivate each other. Geared towards community, in coworking spaces problems find solutions, hurdles are overcome and members benefit from the shared knowledge that fosters a mindset towards achieving project goals. Coworking spaces embody a sense of a larger, connected entrepreneurial network where collaboration launches new businesses. Forget about the break room, most coworking spaces offer many amenities including free coffee and full-service cafes, plus patios or decks, so members can get some fresh air and catch a few rays, during a hectic day. Some spaces feature fully equipped kitchen areas for member use and catered food staging for networking events. In the networking spirit of coworking spaces, many of these versatile spaces sponsor business seminars and social events for members. You can host your own event to test and promote products and ideas for future projects or attend a business seminar hosted by other members. Mingling with passionate individuals in a social setting can lead to contacting those people for support services as your business grows. You may also find new clients for your business and find new businesses that interest you as a consumer, or perhaps as a partner. One of the most popular and practical attractions to coworking spaces has to be the savings for startups in office space rentals and maintenance overheads. Many startups can’t afford office rentals in upscale neighborhoods. Location plays a huge part in perception and doing business from a sketchy neighborhood can send up red flags to your customer base. Coworking spaces offer members a professional mailing address with some membership plans. Setting up shop with your team in a coworking space provides a safe business environment where you can meet with clients in a chic and stylish place, in a safe, respected neighborhood. And it gets better. Most coworking spaces offer month-to-month membership plans, so as your business expands, you can adjust your membership needs to a larger, shared space, rent a private office space within a coworking space or move out altogether into your own office space. Starting with the goals of your business, think about what sort of space will be most conducive to productivity. If you need a space to meet with your team and kick around some new ideas, you might choose a coworking space with meeting rooms. At Venture X Naples, your team can get inspired in our contemporary industrial loft meets boutique hotel facility. Featuring well-appointed virtual and private office spaces with ultra-fast Internet, our meeting rooms are well-equipped for multi-media presentations and collaborations. Planning to expand your team? Our meeting rooms are perfect for gathering your new team, getting focused and headed for success. 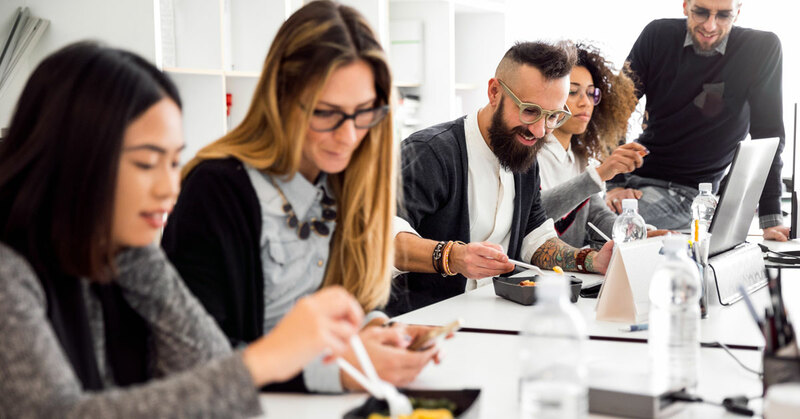 Choosing a coworking space in Naples that attracts other startups and professionals that compliment your company’s networking initiatives can help keep individuals and teams on track. Tech startups stand to benefit from other tech startups, legal professionals, marketing companies and others, while fitness startups may gain momentum from freelance photographers and writers, as well as networking with tech-savvy pros that can help with online implementation and e-commerce integration services for up and coming fitness enterprises. At Venture X Naples, our diverse clientele of professionals and variety of shared desk and office spaces provide an inviting atmosphere to communicate with others and flex your business muscles. In choosing the right coworking space, location plays an important role. An ideal coworking space should be conveniently located for all the members of your team. Venture X Naples, situated in the heart of the city, offers ample parking, with plenty of amenities, many community spaces for events, a café and a fully-equipped kitchen. We’re also just five minutes from the beach and close to an assortment of exciting dining and entertainment venues. When your team needs a break, you want to celebrate a milestone or you want to entertain clients or investors, Mercato offers some of Southwest Florida’s most happening spots. Choosing a coworking space that works for your startup involves deciding where, when and how to best use your resources and talents. Venture X Naples offers a stylish, upscale, modern environment for startups to develop and expand into their own. Venture X stands devoted to supporting a healthy work ethic in a motivated environment that inspires collaboration. Contact Venture X Naples for a plan that fits you and start planning for your startup’s success by taking a tour of our facilities. Call us today!